I am elated that this day has finally arrived. 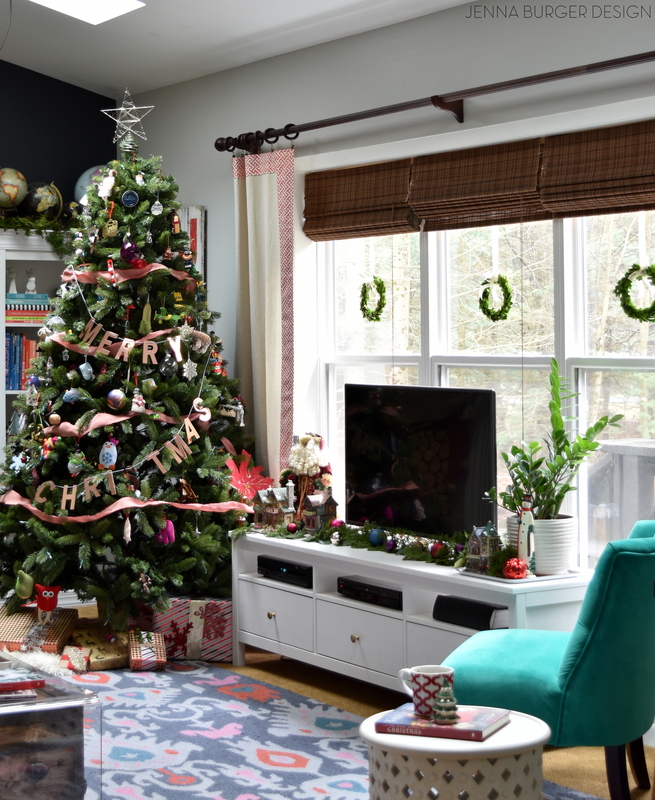 I’ve been busily and excitedly preparing + waiting for weeks to give you a tour of my home decorated for Christmas… And today is the day! 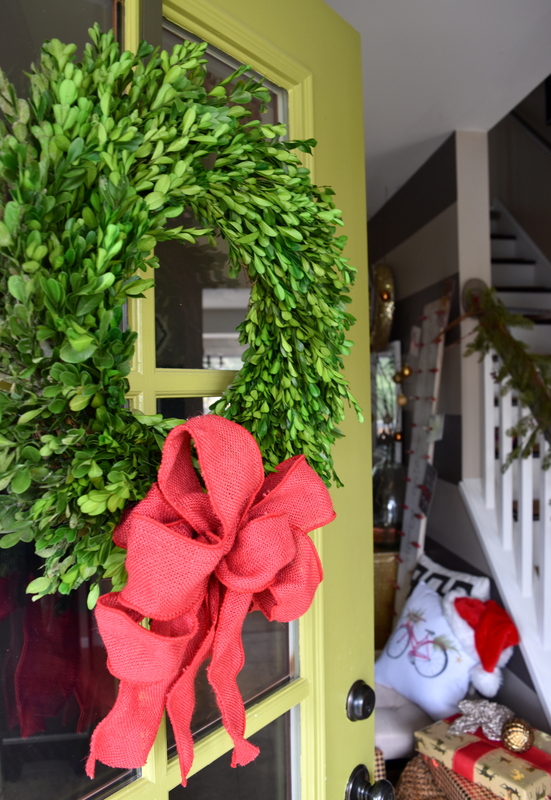 I can not believe it is my 3rd year (check out 2013 + 2014) on the Jennifer Rizzo Holiday Housewalk and I am thrilled to show you lots of new spaces. If you are following along on tour (start the tour here), I am house #19 and the first on the tour for today. If you’re continuing through from yesterday, then you just hopped on over from Restoration House. Wasn’t Kennesha’s house just beautiful with all her fresh greenery?! 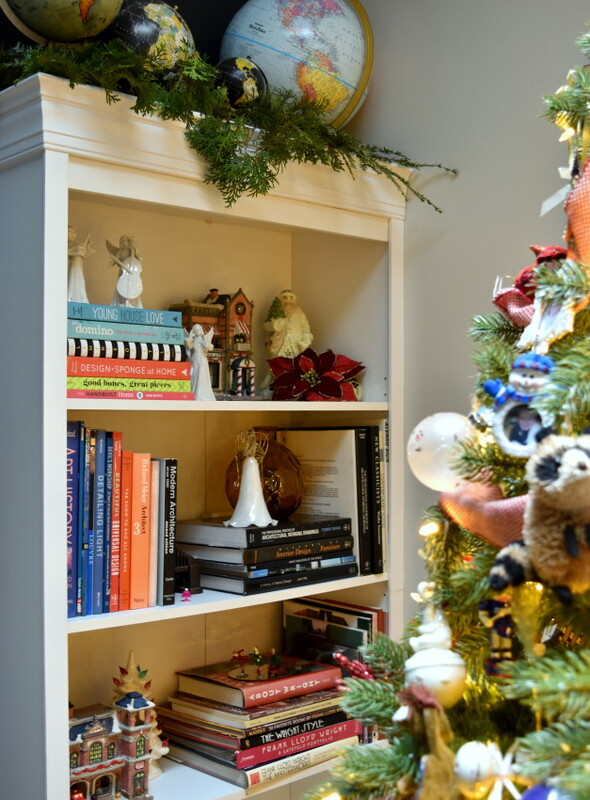 Amidst a big renovation (we ripped out our kitchen…), I ‘m shocked that I was able to pull ‘Christmas’ off this year. I think without this Housewalk Tour planned, decorating for Christmas would have gone to the wayside. So thank you ALL for the nudge to create this years magical space. 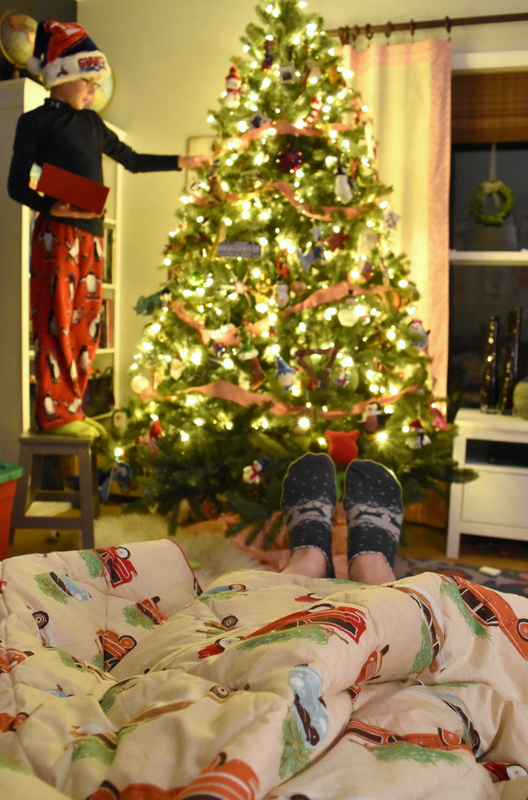 Without further ado, grab a cup of joe or your favorite hot chocolate, put your feet up, and enjoy. 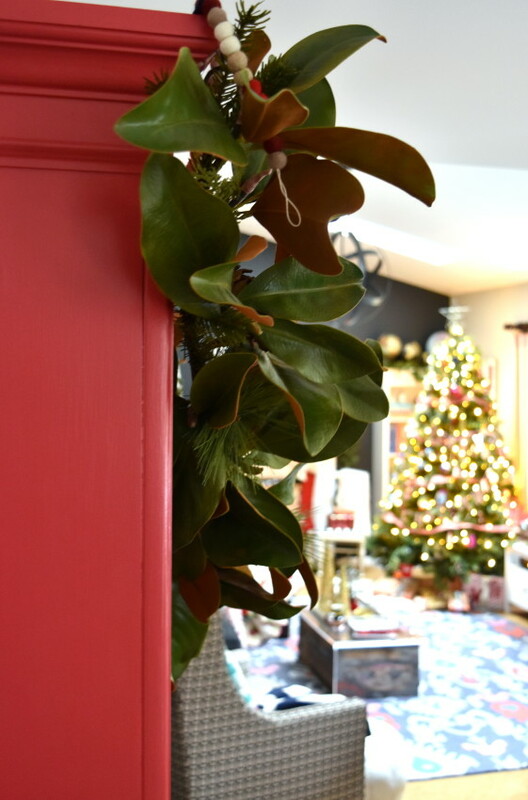 Our beautiful boxwood (by the way, it’s faux…) welcomes us + guests into our home. 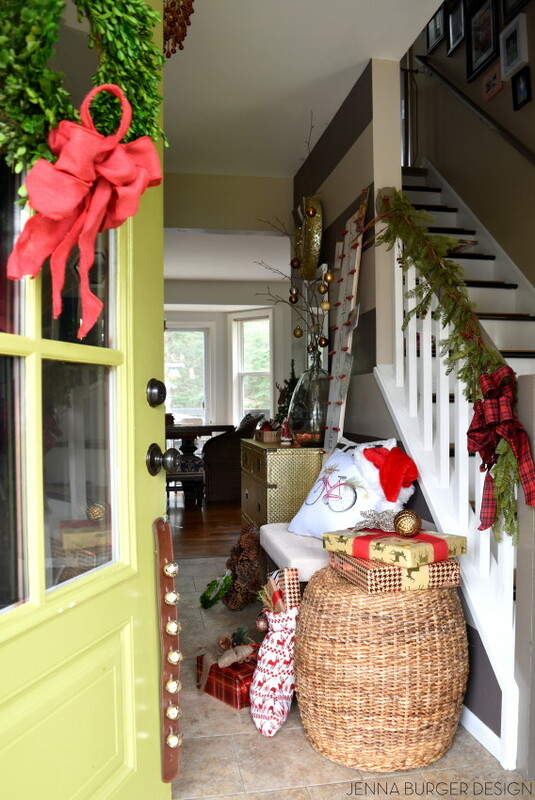 It adorns the apple green colored front door and a red burlap bow gives the perfect layering contrast. 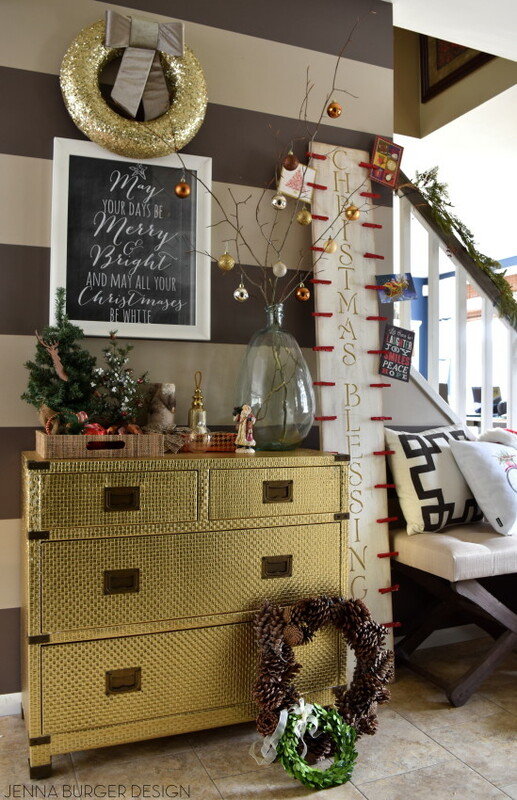 Not overly large, but well-thought out + functional, our foyer is decorated with hues of golds and reds. 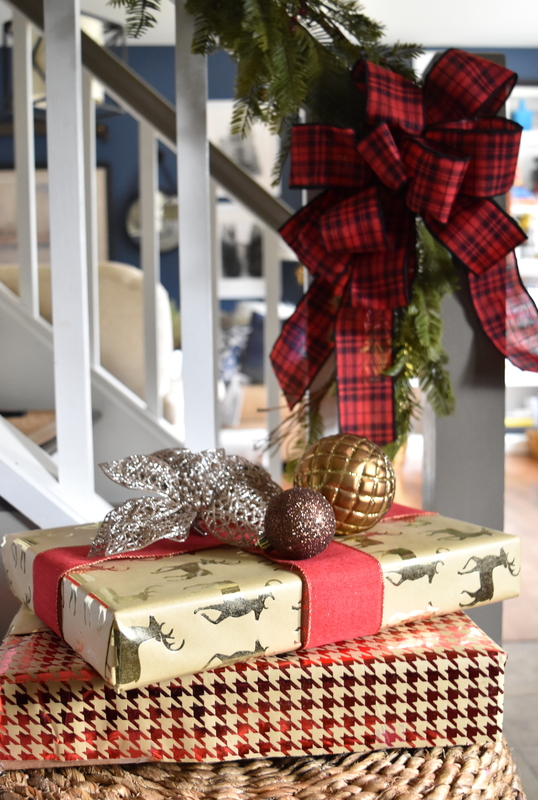 My approach for holiday decorating, especially at Christmas, is to add in seasonal layers amongst the everyday decor. Accessories are changed out, but our family is still hustling & bustling all day, everyday, so the main elements are still in use. 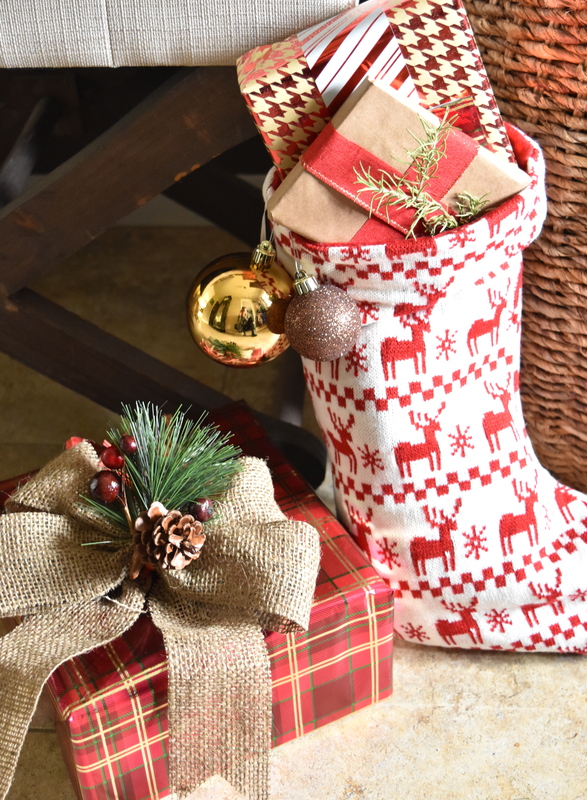 My new favorite addition to this years holiday decor is the adorable vintage red bicycle pillow created by none other than the fabulous Jennifer Rizzo. Snag one for yourself at her Society 6 shop! The beautiful gold dresser (which holds the kids shoes) is still the main focus of our foyer. 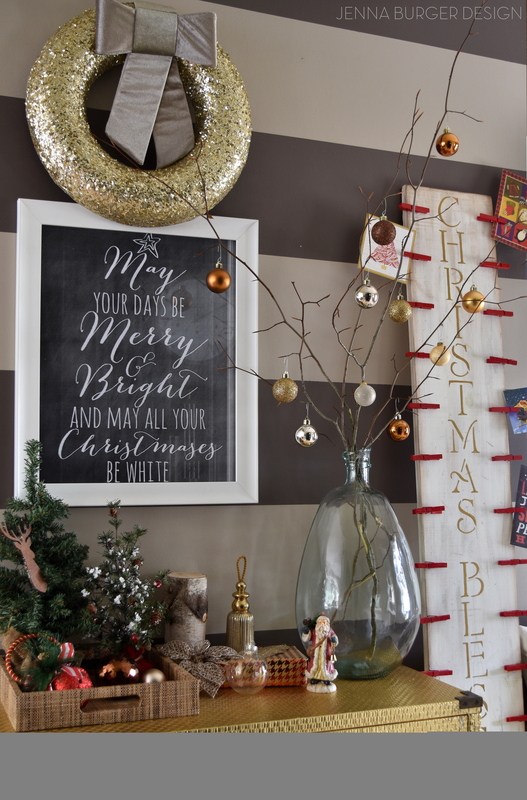 I swapped out the pictures above and added in a chalkboard printable that was created by my sweet friend Kellie – May you days be merry & bright, And may all your Christmases be white. Above it I added a simple gold glitter wreath. Atop the dresser, I filled a large vase with branches from the yard and hung medium sized ornaments in shades of chocolate. hmmm. I love the height & ‘drama’ the branch arrangement gives our entry. 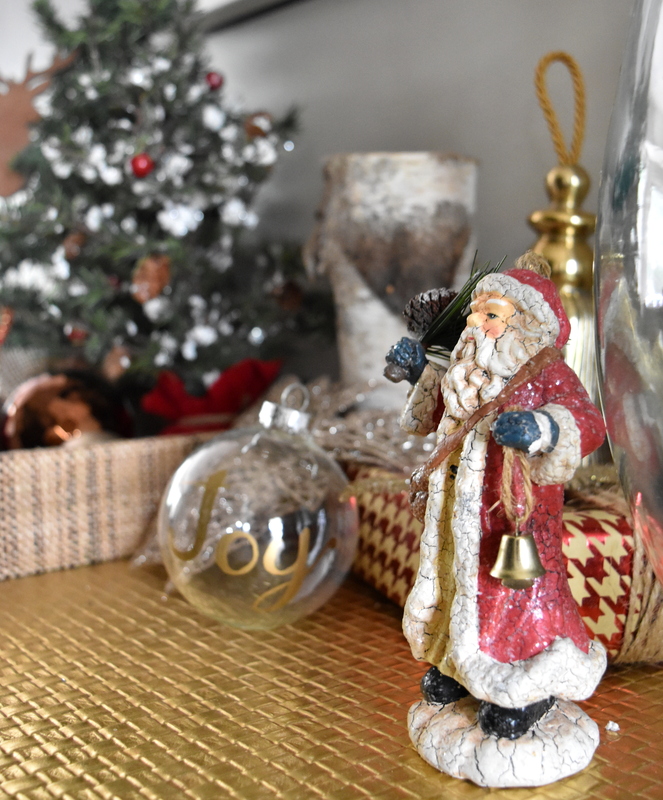 Other seasonal favorites fill the dresser top including small trees, wrapped presents, and DIY creations like the JOY ornament that I made using a gold Sharpie. Since making our CHRISTMAS BLESSING card holder a few years back, I seem to find a ‘new home’ for it each holiday season. This year it fit perfectly in this spot of the foyer & beautiful cards from friends + family have already started to trickle in. 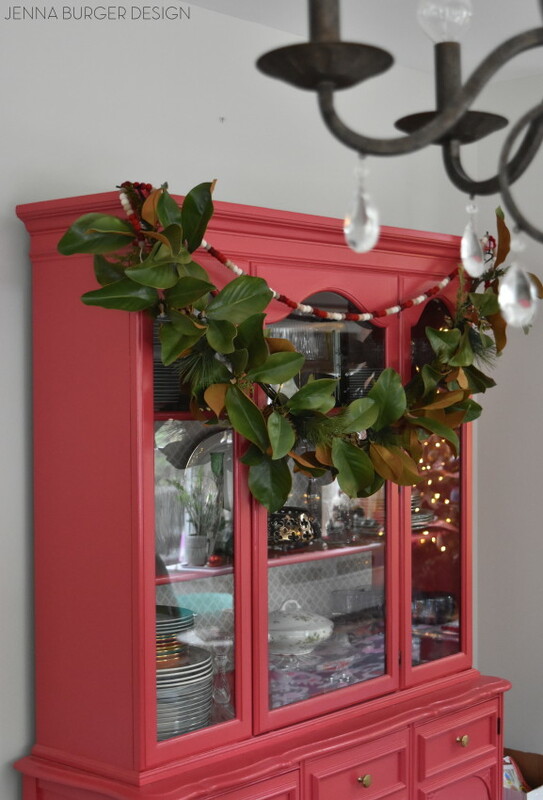 My beautiful Craigslist-found china cabinet is draped with beautiful magnolia garland (again it’s faux) along with a simple strand of pom pom garland (sent by my friends at Minted). I wish I could show you more of this space, but honestly it’s still kind of a construction zone. I guess I could put bows on all the boxes & add them tot the tour, but I’ll spare you, lol. There it is. Our Tree. Our beautiful Tree decorated for another Christmas season. 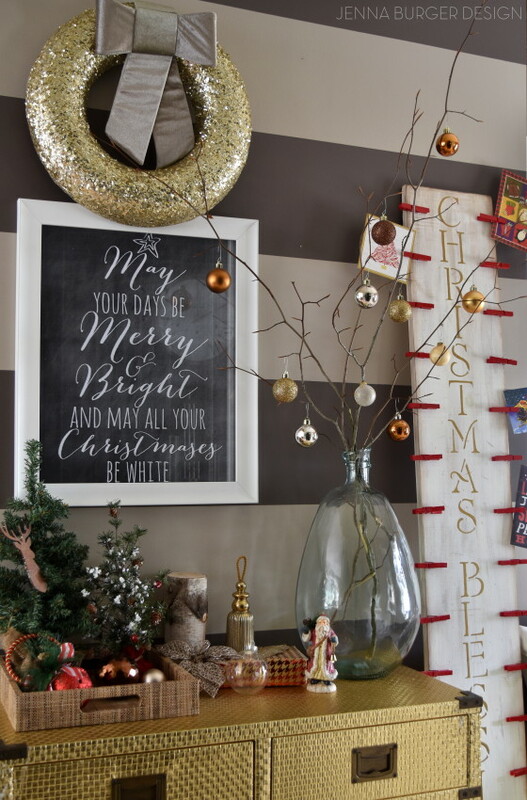 just snagged that copper Merry Christmas garland from Target & I love it! Yes the tree is a material object, but it symbolizes so much. It tells so much about our family. 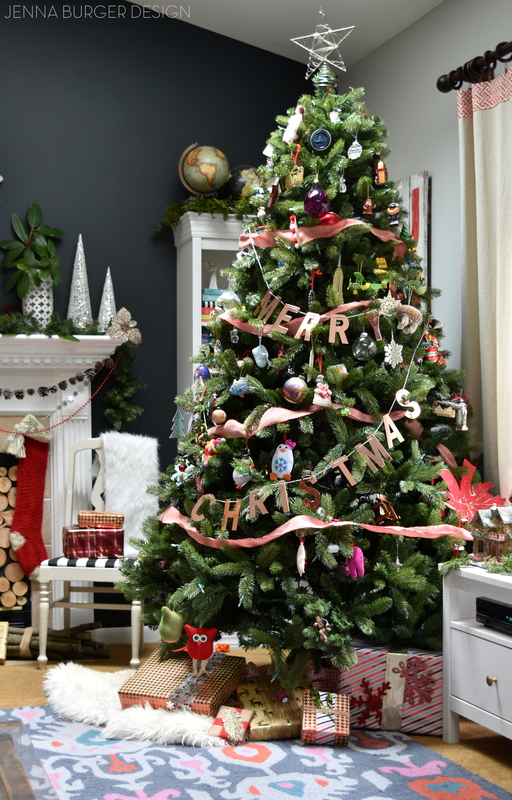 I can honestly say, other than putting the garland + ribbon on, I had no part in the creation of the tree. It might not be the prettiest or ornately decorated (hands down, I know it isn’t), but I don’t care. 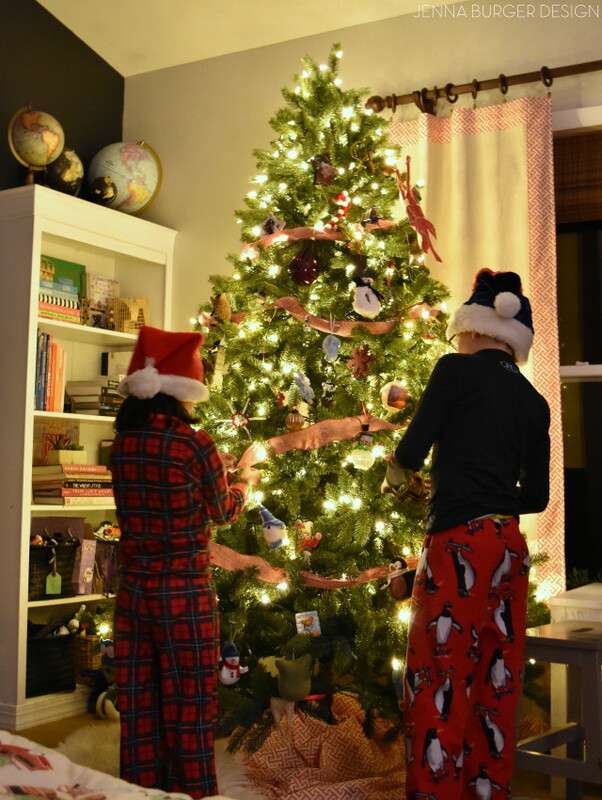 My kids l-o-v-e decorating for Christmas and since I have control of creating beautiful vignettes around the house, they have the tree. Complete ownership goes to them! To me, FAMILY + MEMORIES is what Christmas is about. 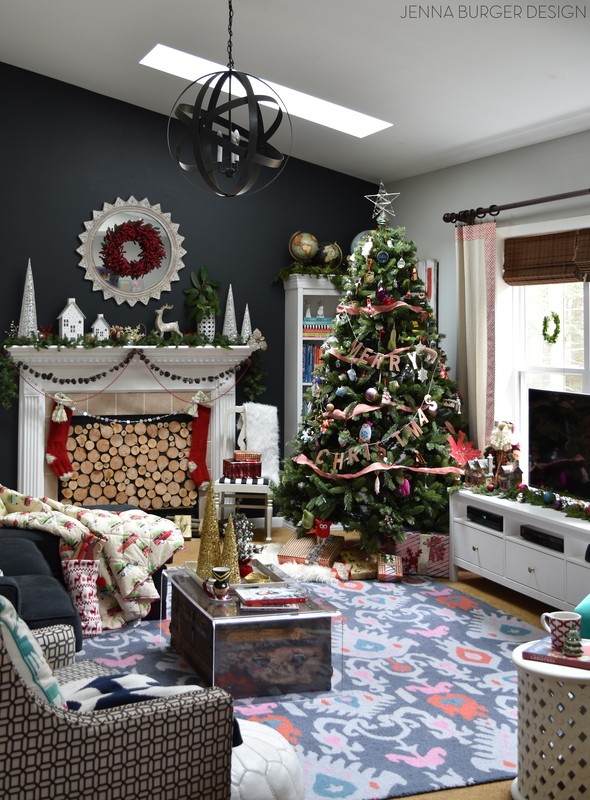 I’m in love with how the family room came together for this Christmas. It was enjoyable having a new palette to work with since renovating this space earlier in the year. 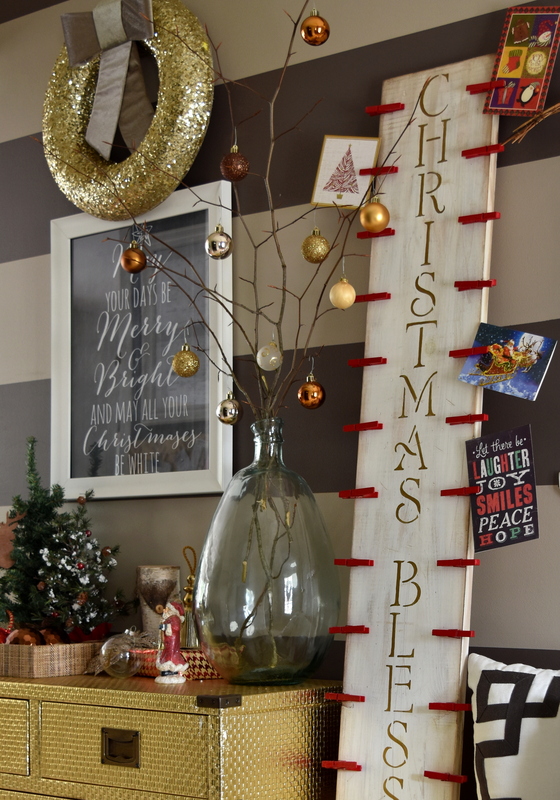 I shared our Christmas Mantel earlier this week, but it got a slight revamp since then. 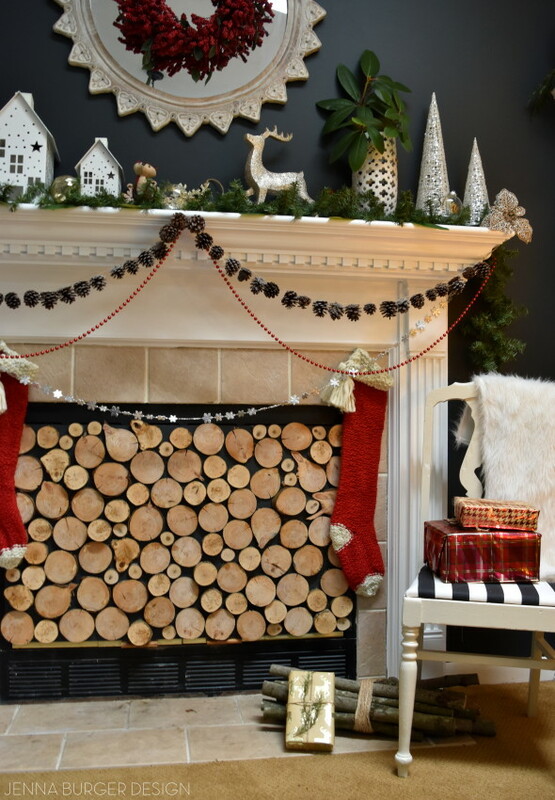 Check out what’s inside the fireplace… A lot of logs that my husband laboriously cut (not, it just looks like that – tutorial coming soon). The look of the logs gives a beautiful focal point to the fireplace especially since we rarely have a roarin’ fire going. 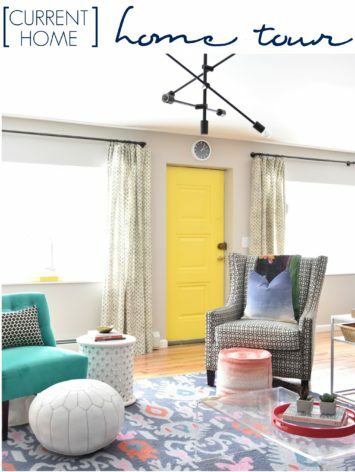 This space is our hang-out-do-everything room, so it has to be comfortable + inviting + functional. It’s not stuffy or inhibiting, but instead relaxing, enjoyable, AND most importantly reflects US! 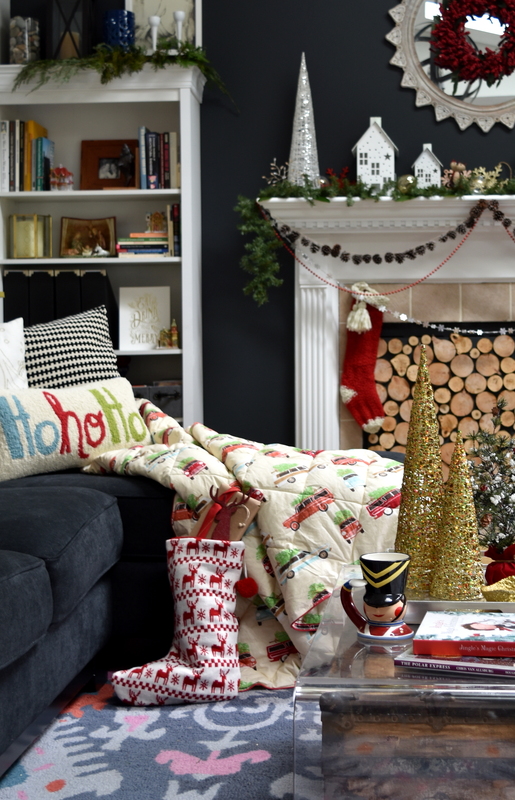 The Ho Ho Ho knit pillow is another addition this season and makes such a pretty layer on the sofa. 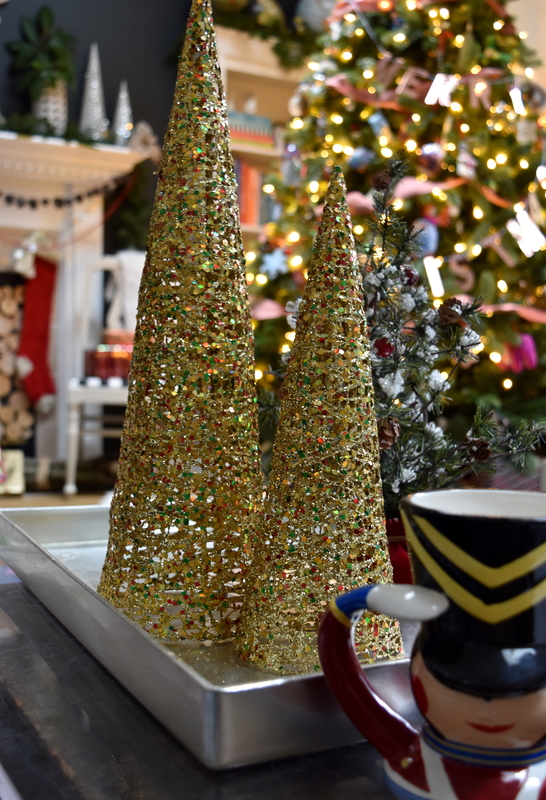 On a typical day, most things that sit on the coffee table get knocked off (thanks to the busy hands of a 17-month old), but for the tour I jazzed it up with gorgeous gold glitter cone trees + a few of our holiday books we love to read as we countdown to the BIG 2-5! 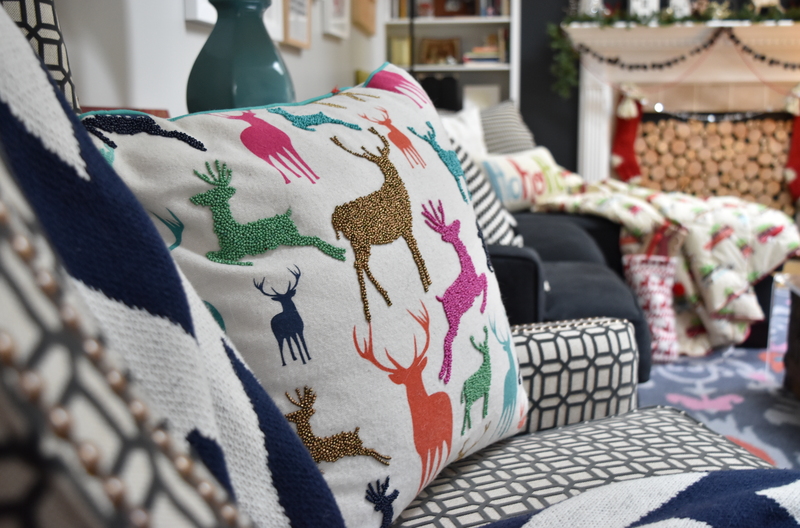 Lots of old mixed in with a few new festive treats, like this pillow that I just couldn’t resist from Target. Well there you have it. 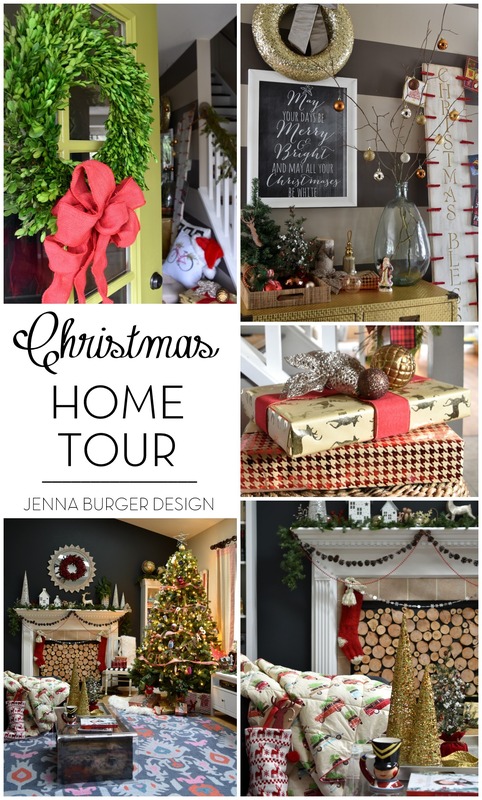 Thank you so much for taking the tour of my home decorated for Christmas. 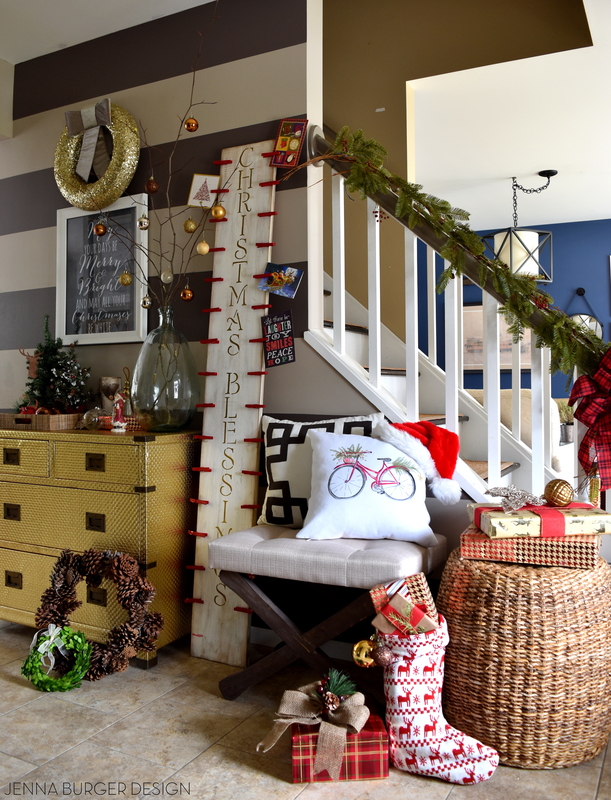 A lot of thought + love went into this years seasonal space, but important of all it’s meaningful to our family. I hope I’ve inspired you with what I’ve created + shared. 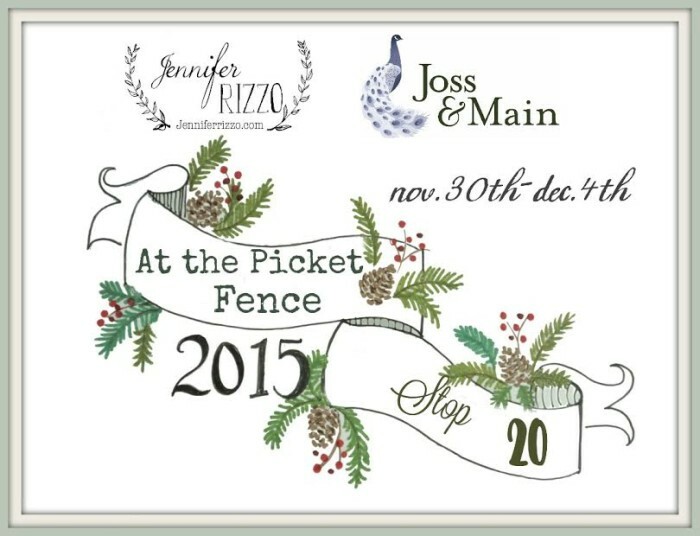 Now on to the next house, At the Picket Fence, which is stop #20 on the Holiday Housewalk Tour. 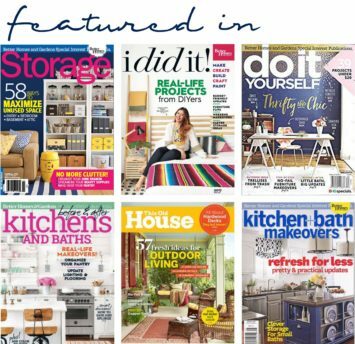 Thank you to Joss & Main and Good Housekeeping magazine for partnering with this years Housewalk Tour. 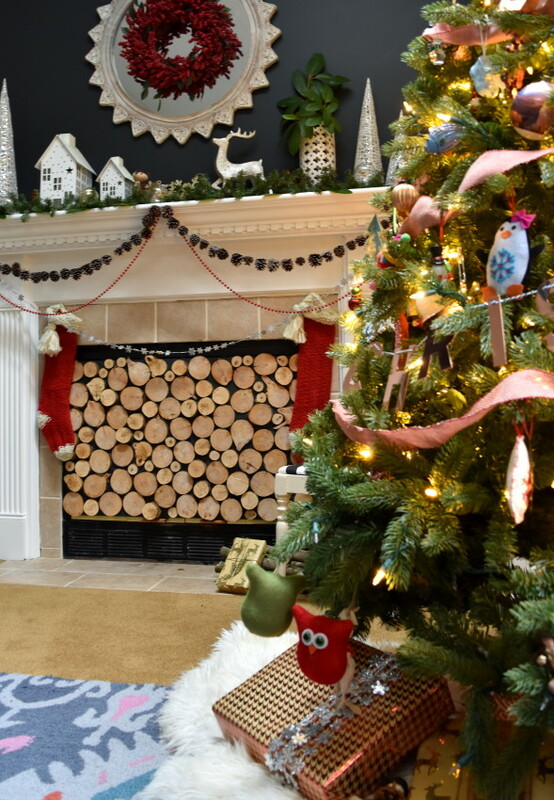 Also a big shout out to Garnet Hill + Lowe’s, who I collaborated with for this years Christmas spaces. Their decor is gorgeous and I love showcasing their beautiful goods in my home! Beautiful! Thanks for all the links. I made my first order to MINTED because of your link. 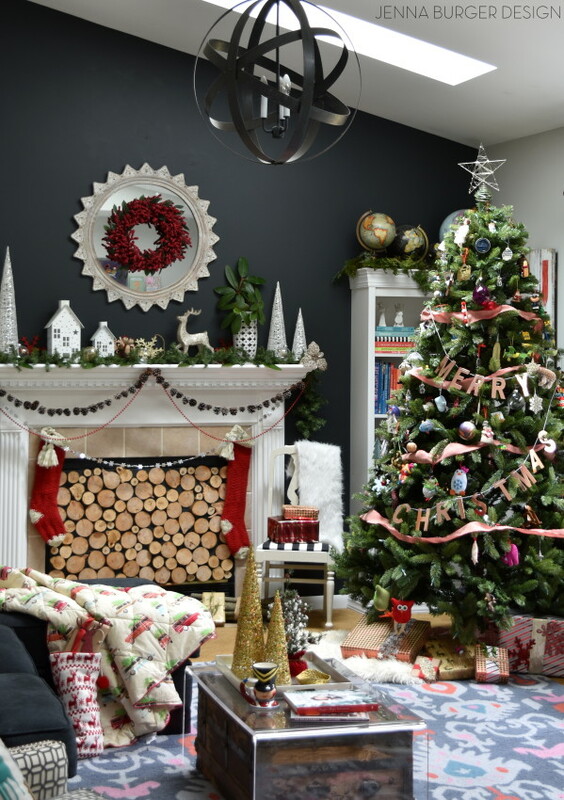 I ordered a felt garland…Can;t wait to get it! Merry Christmas! Yay Melissa. Isn’t that pom pom garland so cute. Enjoy and Merry Christmas! Thanks Paige and Merry Christmas! 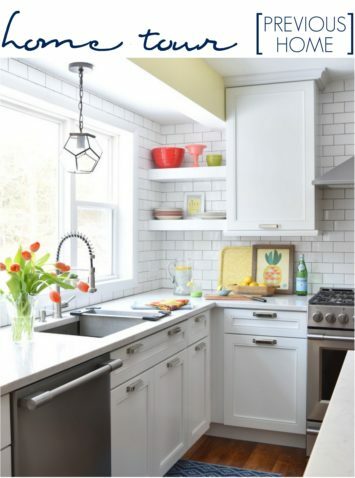 Lovely and homey! 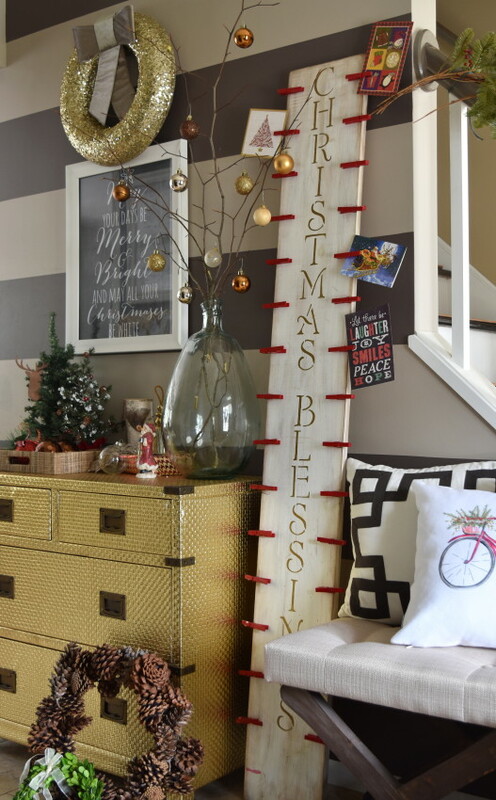 Esp love your Christmas Blessings sign, kid decorated tree, wreaths in windows, and foyer. Merry Christmas! Awe thank you so much Lisa! Merry Christmas to you as well. 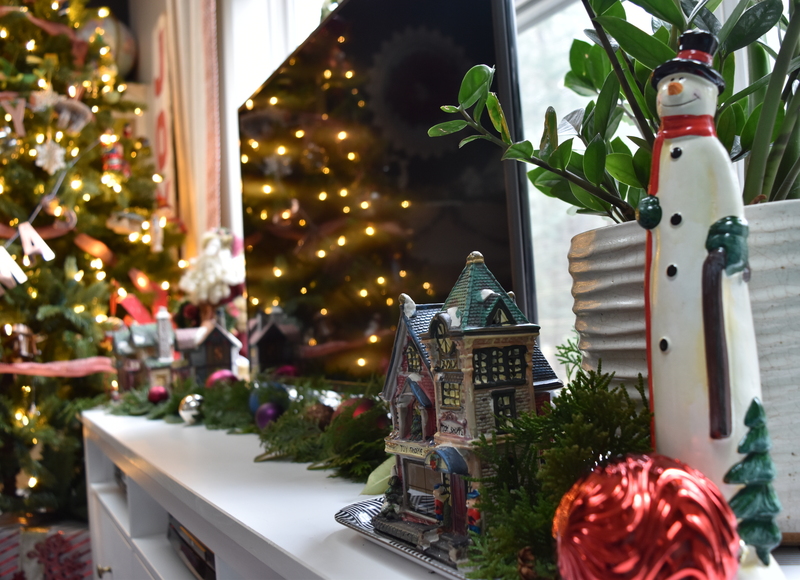 your mantle is AMAZING, jenna! love it! and that brass chest….. every time! Thanks so much Cassie, Merry Christmas! Thank you so much for sharing your beautiful home and being in the tour! I love that bicycle pillow (wink,wink)! Oh Jenna everything is so fun and festive and cheery!!! And I cracked up at the photo of your slipper covered feet and the kids decorating the tree. That’s the way to go! 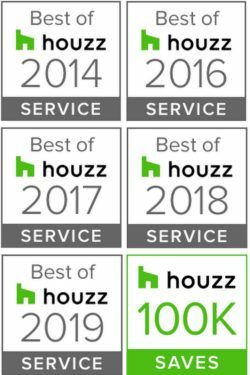 ;-) So fun being sharing a tour day with you and your beautiful home. Could you tell me where you got your magnolia garland? I really really love how you let your kids take control of the tree. They must treasure that. I think I am a bit of a control freak and would have a hard time with that. ;) Lovely tour and it was super fun to discover you! Gorgeous! Thanks for sharing your beautiful home with us. 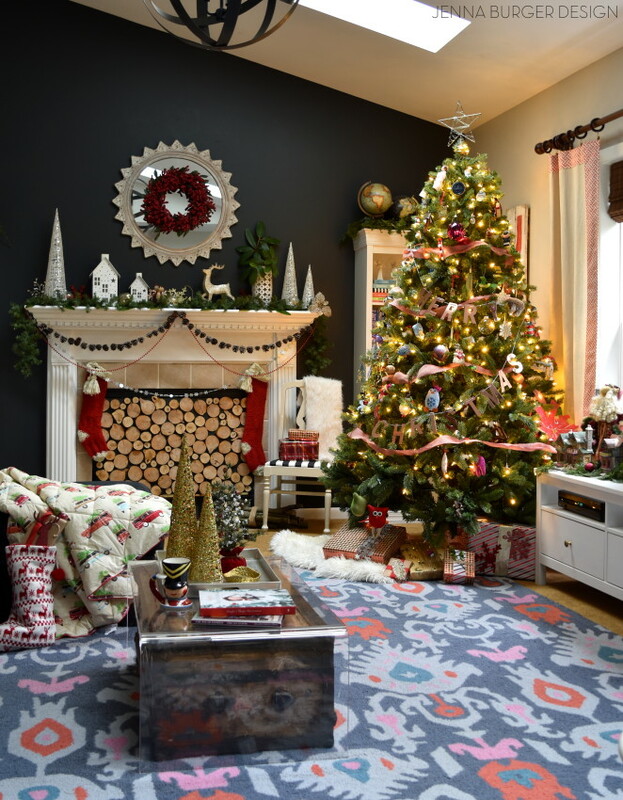 Jenna, can I tell you how perfect your tree is…and your helpers! 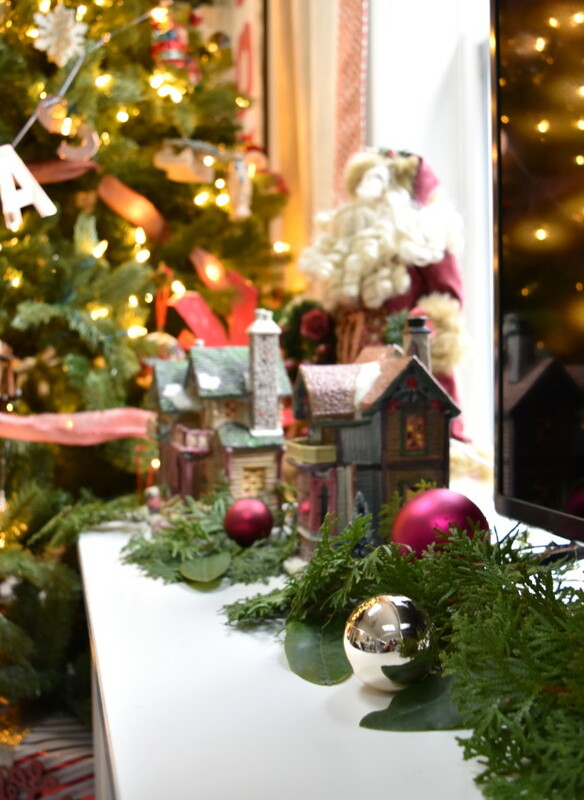 Happy Holidays to you and your sweet family. Absolutely gorgeous, amazing, stunning, warm…love it. The pop up ads on your blog are taking over my screen so it is hard to see your beautiful home. Thank you so much Michele for the kind words and I apologize for the pop up ads. I’m not sure what you are seeing, but pop ups are typically kept to a minimum. Very pretty! I need to go get me that pillow from Target! I’ve been there several times and haven’t seen it. Must get that!! !